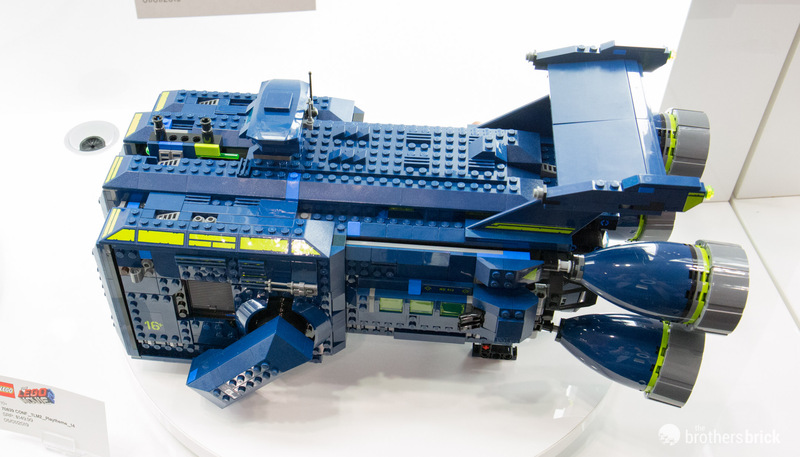 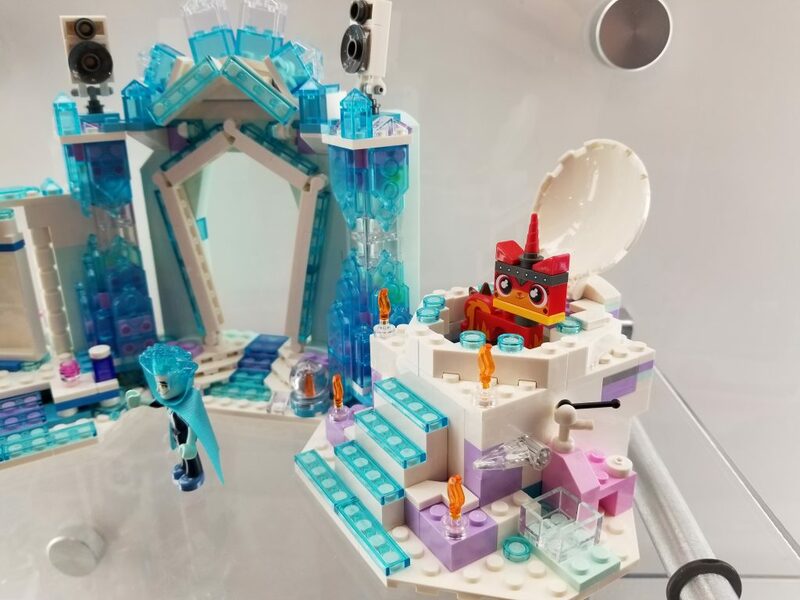 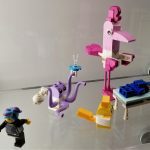 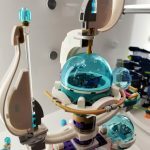 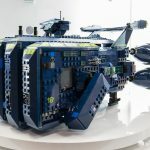 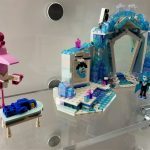 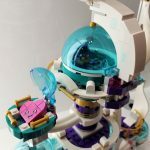 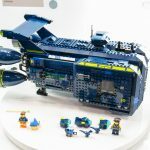 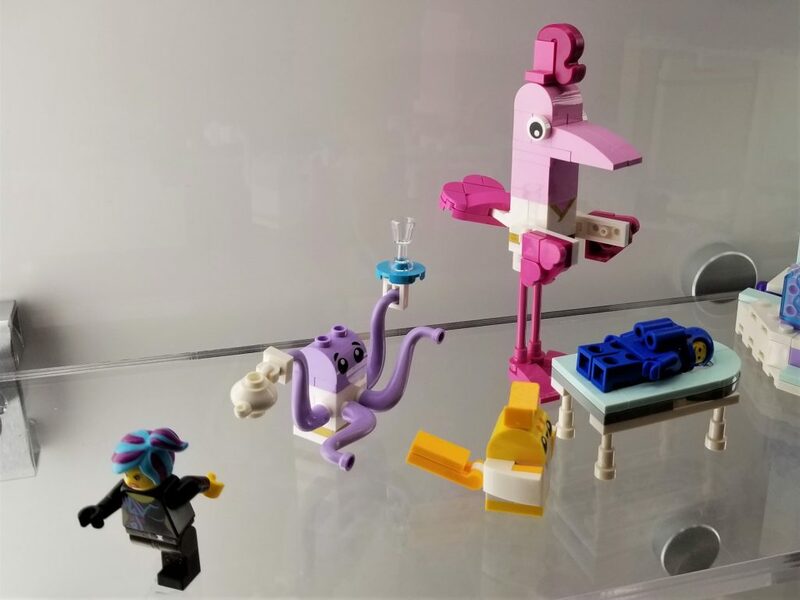 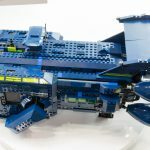 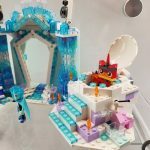 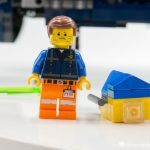 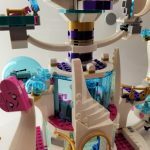 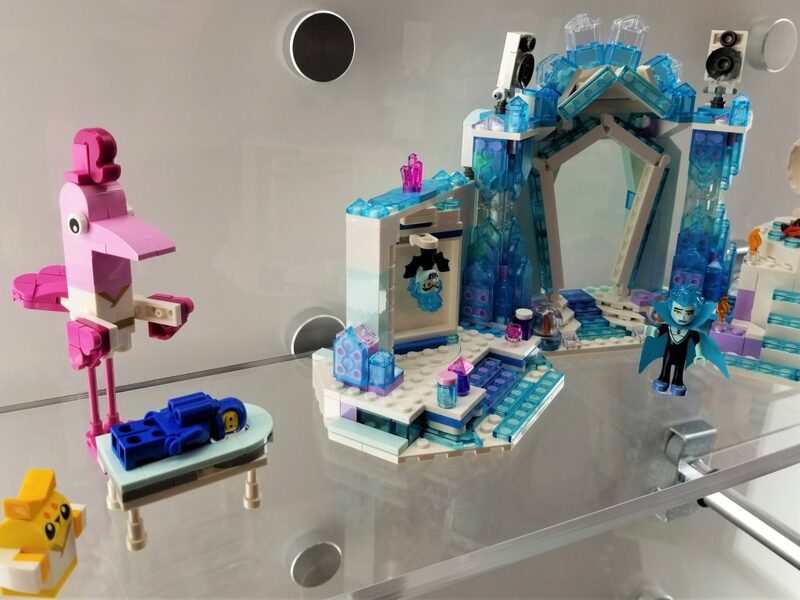 Live from the show floor at the 2019 New York Toy Fair, we have new close-up images of the upcoming LEGO Movie 2 sets revealed last week. 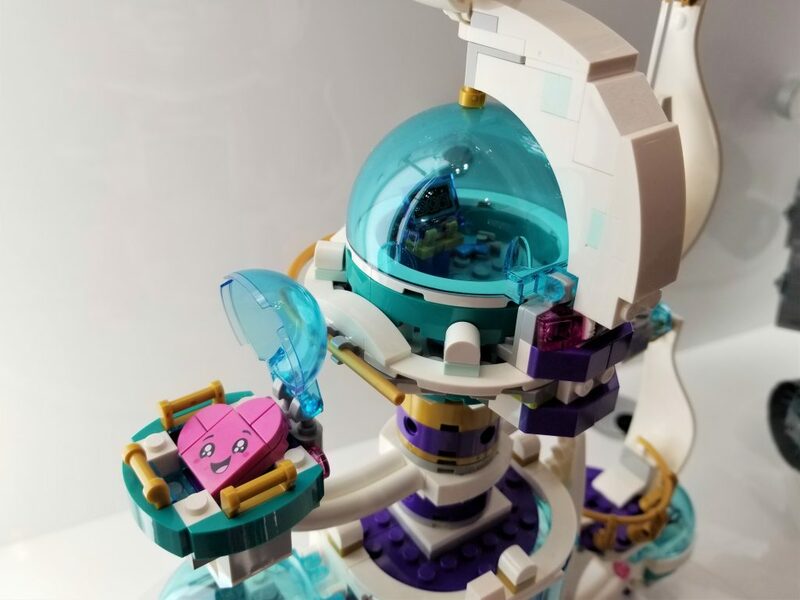 The Rexcelsior will be available May 1st, while the other sets are scheduled for release a week earlier on April 22nd. 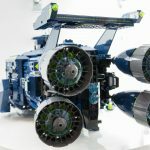 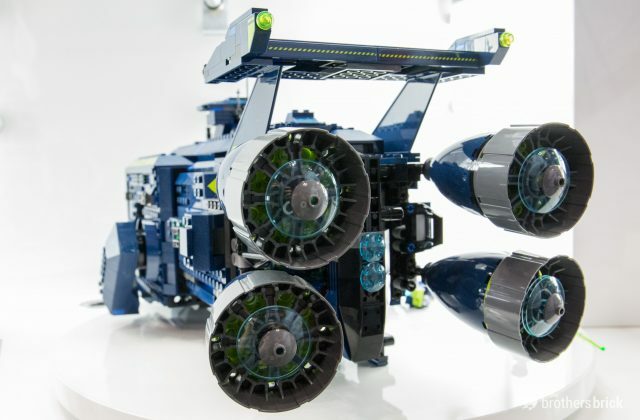 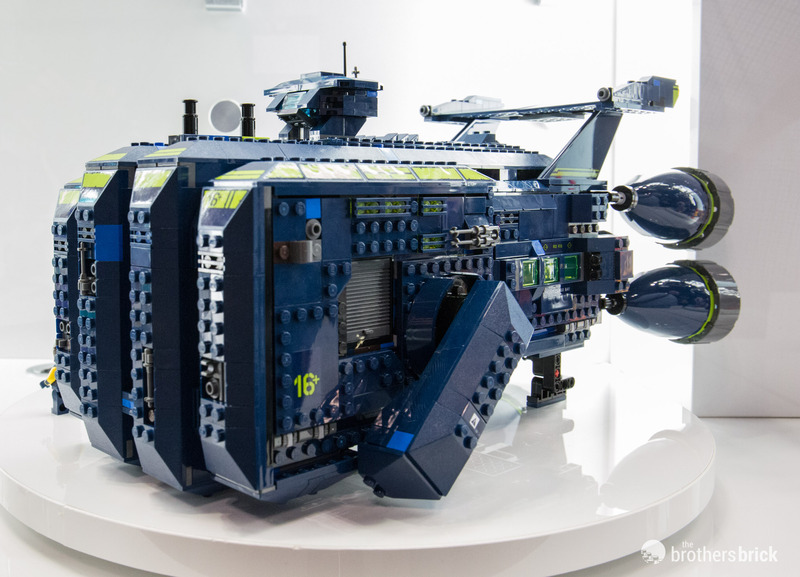 The set features Rex Dangervest’s rocking spaceship, The Rexcelsior, which comes with 1,826 pieces, two minifigures, two microfigures, five micro-raptors, and a six-missile rapid blast functionality. 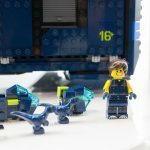 The Rexcelsior will retail for $149.99 US and £139.99 UK. 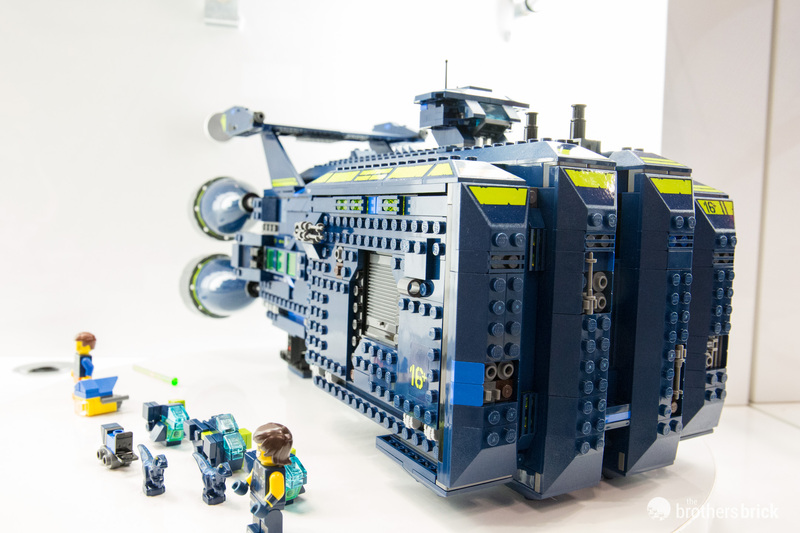 The Rexcelsior is more than a foot long, and is impressively detailed from every angle. 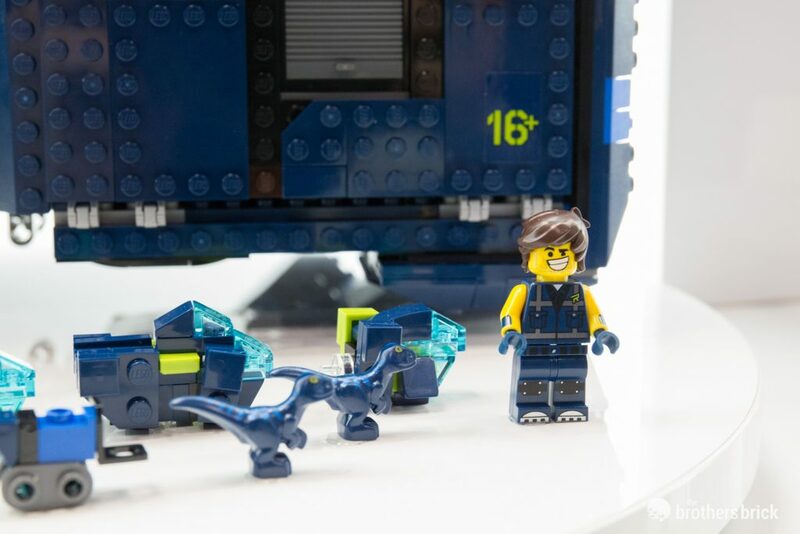 The set comes with two dark blue and three metallic micro-raptors. 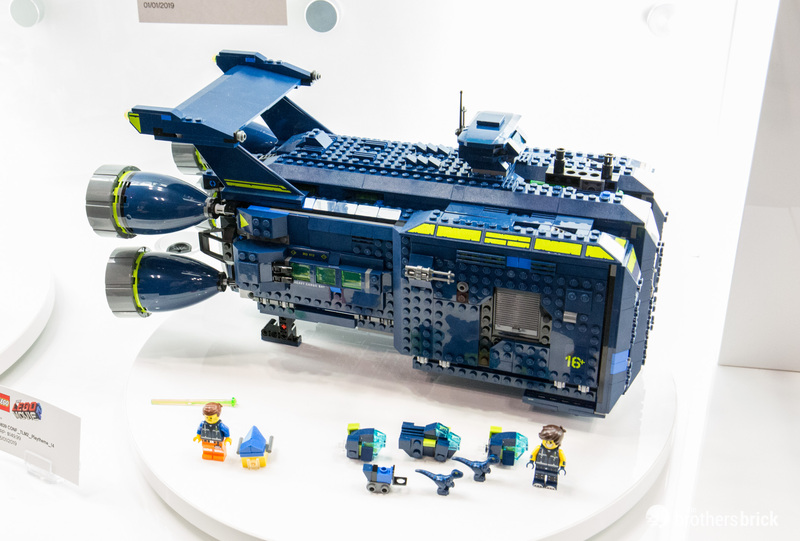 The accompanying micro-builds include Emmet’s house, a forklift, two interaptors, and a dropship. 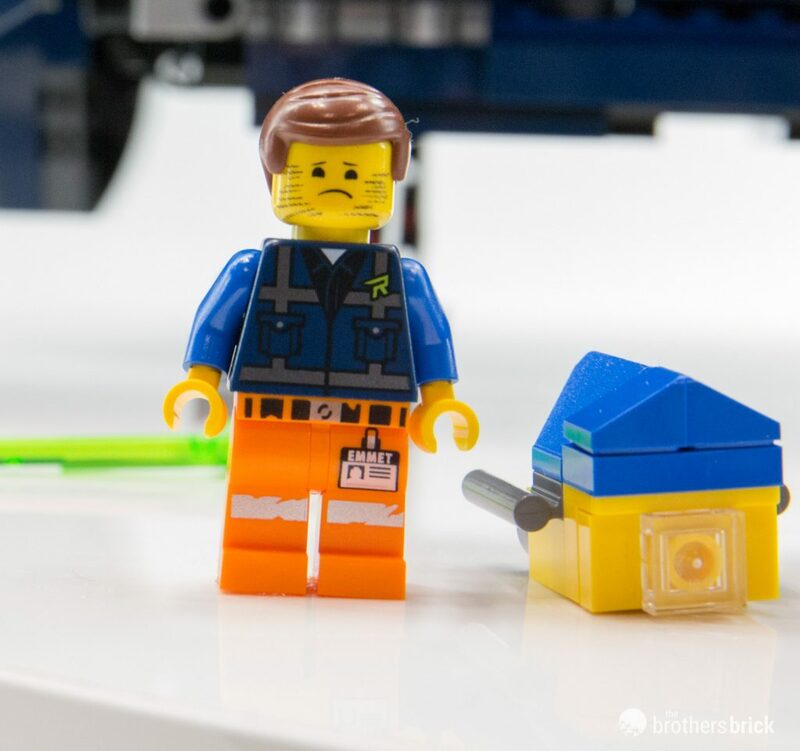 As for minifigures, the Rexcelsior features two — Stubble Trouble Emmet and Rex Dangervest. 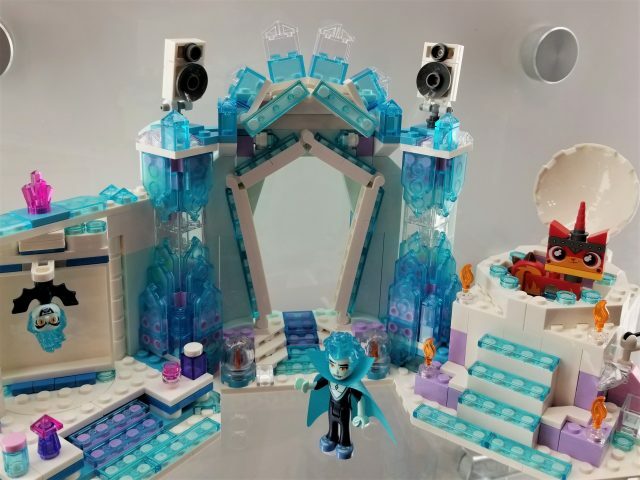 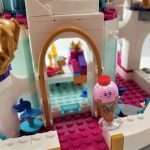 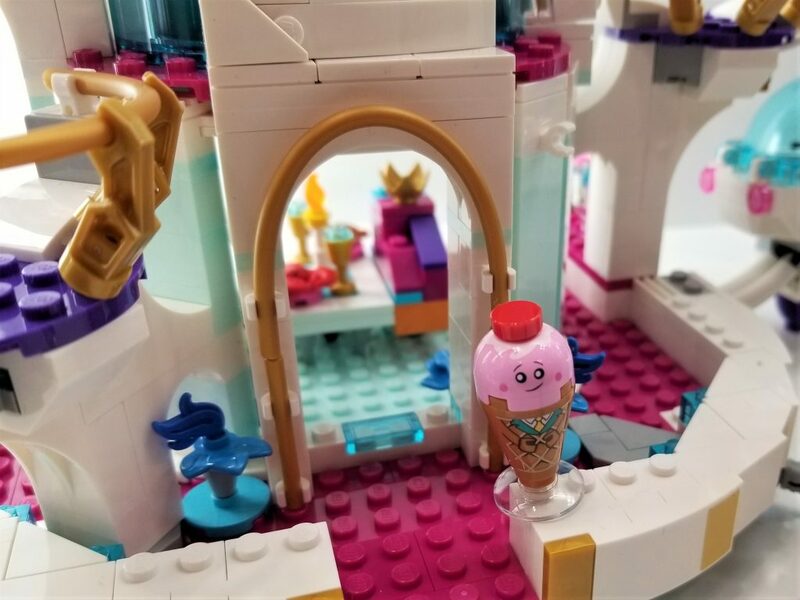 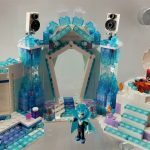 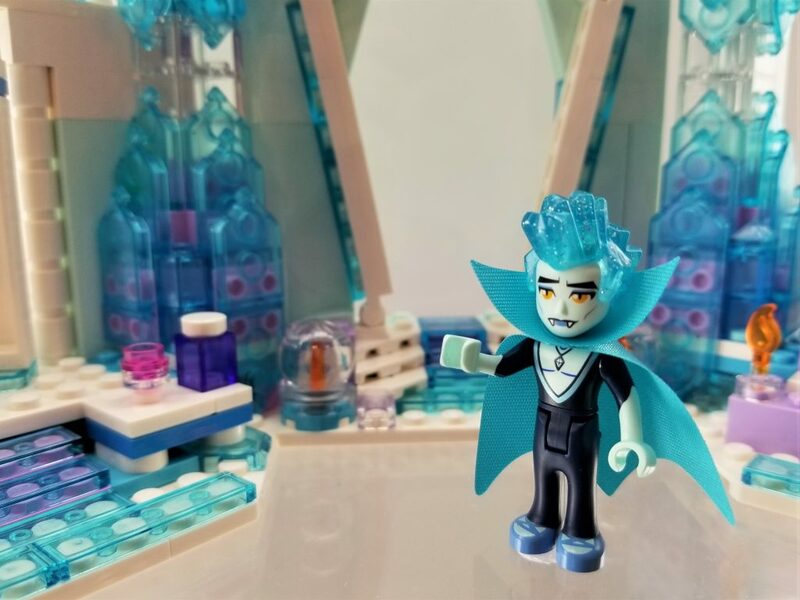 This multi-level palace set includes nine characters from The LEGO Movie 2: a Bachelor Batman minifigure and Celeste mini-doll figure, plus Queen Watevra Wa’Nabi, Ice Cream Cone, 2 Stars, and 2 Hearts and Royal Guard brick-built figure. 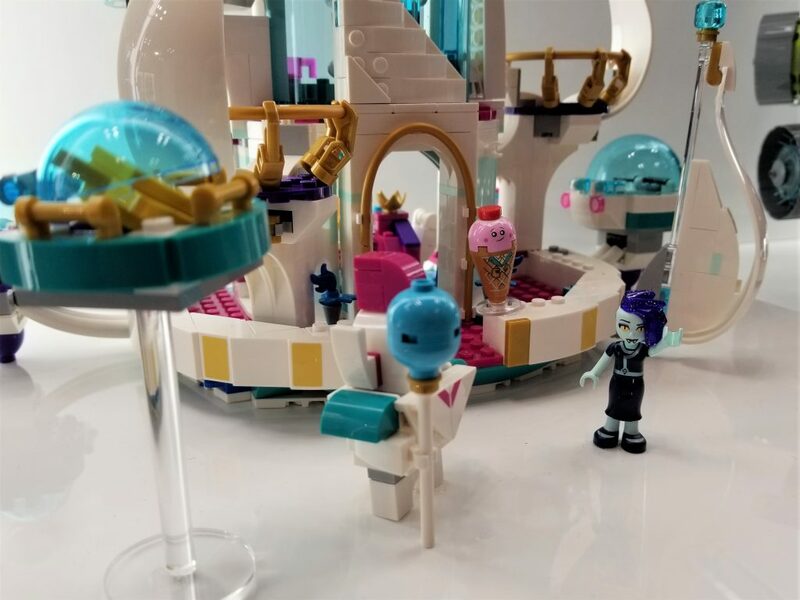 Characters from the LEGO Movie 2 enjoy a transformative musical experience at the Sparkle Spa. 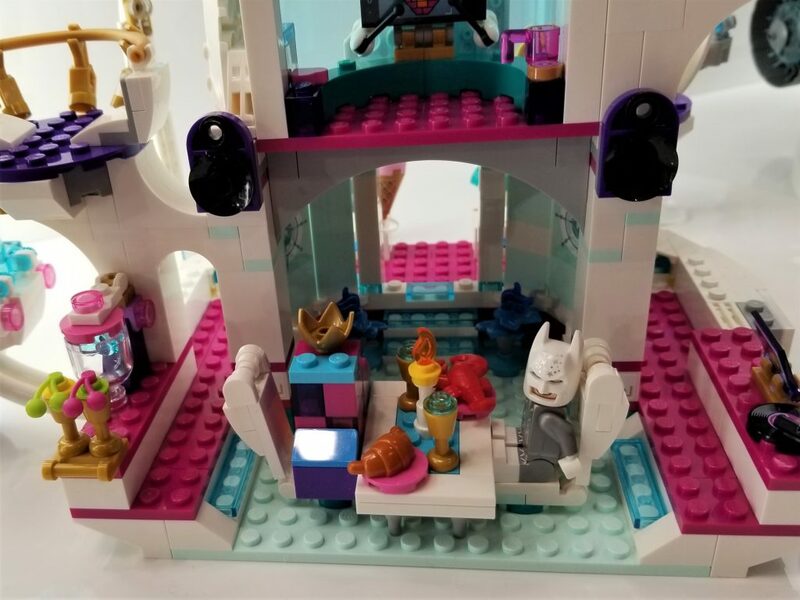 Chill out with a massage and then get some hot-tub action with Benny, Wildstyle, and Unikitty. 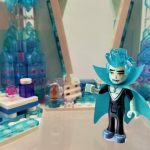 Watch out for Balthazar when he transforms into a vampire bat and try not to get that catchy song stuck inside your brain! 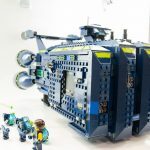 Do you have puctures of the betripled land coach mech? 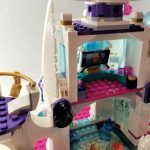 Any sign of the interior of The Rexcelsior? 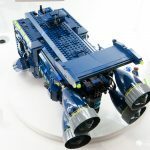 Do you mean the Triple Couch Mech? 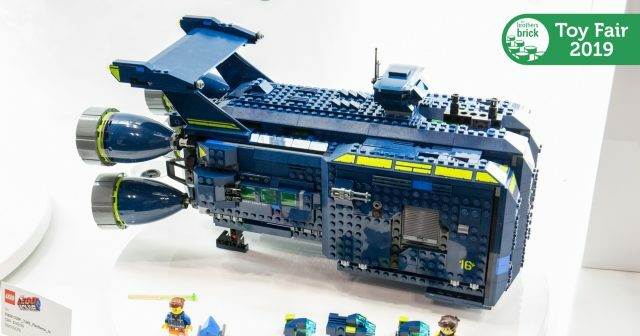 I’m a bit baffled by the huge microscale ship, cool as it is. 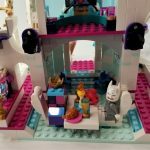 IS there even an interior? At least from my perspective (and I tend to like the same stuff now as I did when I was a kid) the LM2 sets are a whole lot of mis-fires. 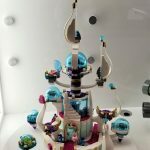 That ‘So not evil’ space palace set is a bonanza for pieces!!! 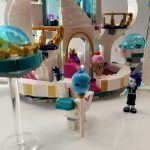 Did anyone else see those clear pillar/stands?!? 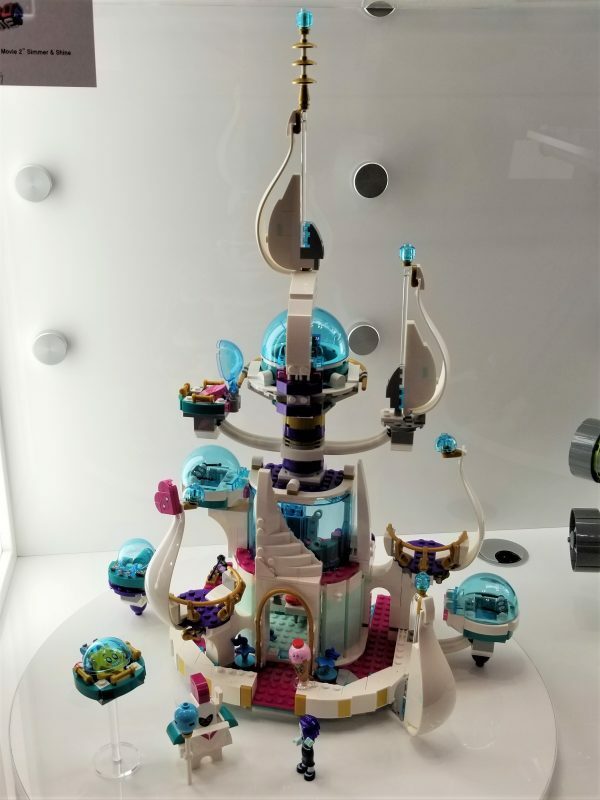 I say at least 2, I’ve wanted that piece forever and now it’s within reach.